How to Register For IP University MA English Admission 2018? On 19th February 2018, IP University (Dwarka) announced admission to MA English course. 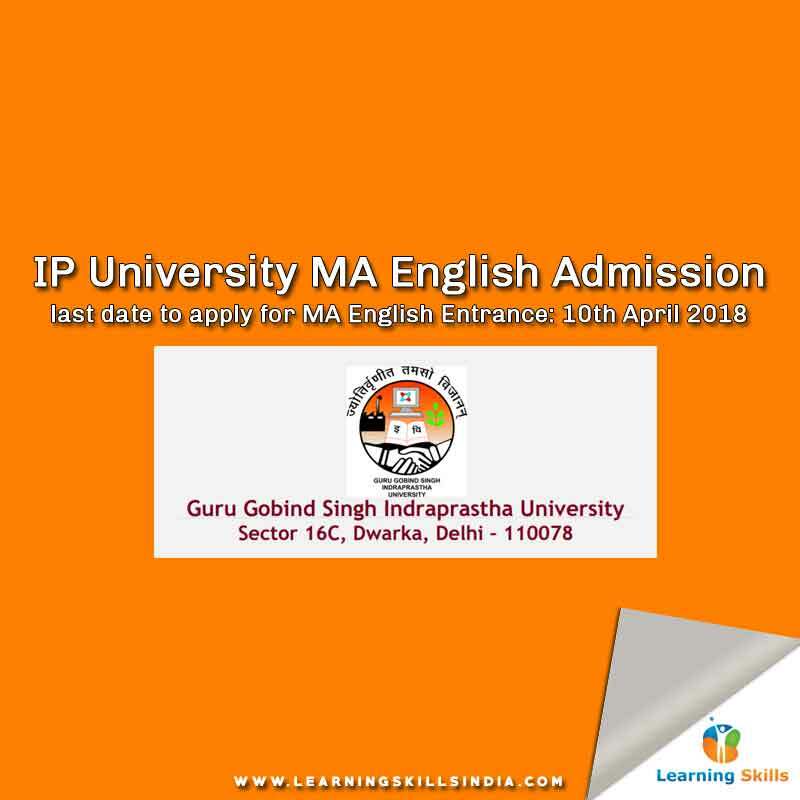 The last date of application for IP University MA English Admission 2018 notification is 10th April 2018. IP University is one of the top universities in Delhi that offer a wide variety of undergraduate and postgraduate courses. Particularly, MA English course at IP university is one of the popular course offered. However, getting an admission in IP University can be a challenging task. As thousands of students appear for IP University MA English entrance for just 50 seats. Therefore, the competition level is high leading to higher difficulty in crack the MA English entrance exam. Now, coming over to the important information relevant to IP University MA English Admission 2018 is notified in this article. Everything is there, nevertheless, if you’ve questions then feel free to ask one using the comment box below. At least 50 percent marks in graduation in any discipline from a recognized university. Admission mode is through MA English Entrance. The final admission will be on the basis of the merit/rank of CET MA English Entrance. Reservation: 85 percent seats reserved for Delhi region candidates, and 15 percent seats are reserved for candidates outside Delhi region. Choose “Engineering/Professional/PG Diploma” exam category as MA English is categorized under professional courses at IP University.